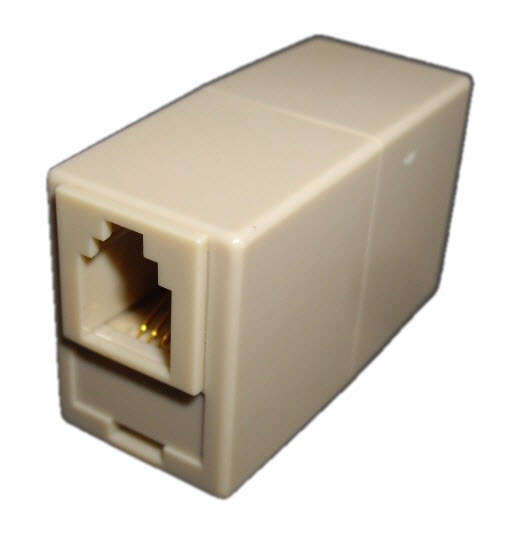 RJ9/RJ10/RJ22 female to RJ11 female coupler. 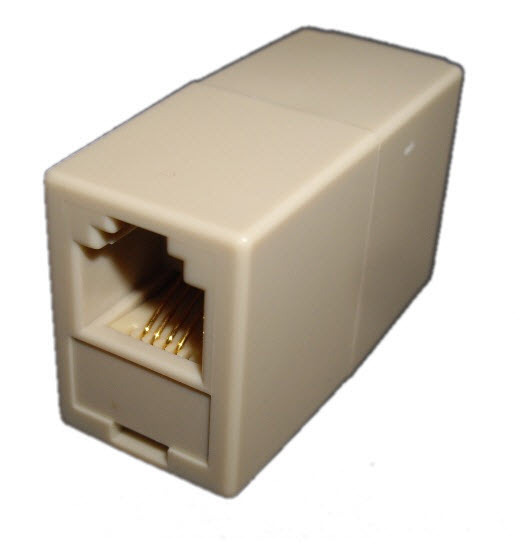 Joins an RJ10 plug to an RJ11 plug without changing the wiring configuration (straight wired). Product colour may vary.